Slate Digital's Marketing Director Sean Halley leads you through a feature-length tutorial mixing a full pop production using plug-ins from the Slate Digital Everything bundle. In this video for Pro Tools Expert, Technical Editor James Ivey shows you how to use the Universal Audio Apollo interfaces as hardware effects processors for use with your analogue mixing console. Do you often find yourself mixing and wishing the vocals were more upfront, or the drums tighter? Or the entire mix just doesn't seem that tight. You've got a great song, played well by good musicians and recorded well, but the mix feels sloppy. Well, there's often an easy way to get more focused mixes. At NAMM 2017 on their booth 6620, Waves Audio have announced the Waves Dugan Speech plugin, the new official software version of the Dugan automixer for automatic control of multiple mic gains, designed for integrated use inside the eMotion LV1 live mixing console. So by now I'm sure you are all sick of hearing me witter on about my stunning new amazing (add more adjectives here) Audient ASP8024HE mixing console. So I promise, for now at least this will be the last you hear about it. As I am sure I have mentioned I have been looking for a proper console for quite some time now and after creating a shortlist the Audient won me over. In this free tutorial from pureMix, Ben Lindell demonstrates how he sets up his mix bus processing on a nearly finished mix. Using Universal Audio UAD plug-ins, Ben takes this dance-pop track from sounding good to great! In this 3rd free video tutorial in the series Paul Drew demonstrates how to mix using the fantastic UAD Apollo and the plug-ins that are available on the UAD platform. In this video, you will learn how to mix music in Pro Tools. Yes! It is possible to make a professional sounding record just with Pro Tools stock plugins. Fab Dupont from pureMix mixes a full song, step by step, explaining every setting, using only Pro Tools 9 stock plug-ins. Watch the free exclusive excerpt from this video. At AES 2016, D-Spatial have presented the worldwide launch of D-Spatial Reality, they they are billing as "the world's first physical modeling mixer". D-Spatial product line is composed of three different versions: Reality VR, Reality Studio and Reality Builder and claim that D-Spatial is fully integrated with Pro Tools. When it comes to discussing the fine art of mixing music, I tend to approach the subject with some trepidation. After all, compared to many of the topics I’ve written about, this one is rife with subjectivity — one person’s idea of a great sounding mix may be another’s sonic nightmare. And what works for one genre of music will be decidedly wrong for another. But all those variables aside, there are at least a few general theories, tips, and tricks that apply to most mix projects. So while the idea here is not to give a step-by-step tutorial on two-track mixing, hopefully we can cover at least a few concepts that are useful for everyone. Myths Of Modern Recording - Can You Fix It In The Mix? 'You can fix it in the mix is an expression that has found its way into modern recording. What does that mean and is it possible? In this video James Ivey from Pro Tools Expert talks to Robin Porter, designer of the Neve BCM10 Mk 2 about the console and the audio concepts used in it's design. For this video James traveled to Derbyshire to visit Andy Sneap at Backstage Studios. Backstage has directed itself towards the rock/metal fraternity, with labels including Nuclear Blast, Century Media, Roadrunner, Metal Blade, Ferret and Sony among others, making constant use of the facilities. Are You Making These 8 Mixing Mistakes? 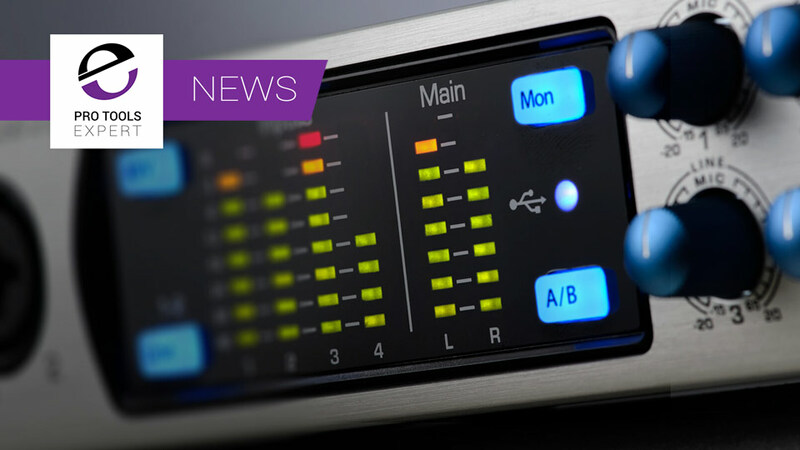 Another excellent article from one of our partners - Universal Audio. Most recording musicians, engineers and producers are well aware what a difference mastering can make to our mixes. And as we’ve discussed in previous columns (such as Audio Mastering Basics: Taking Your Music That Extra Step), mastering is an art form in itself, and is best placed in the hands of a specialist. But even expert mastering engineers can only accomplish so much, and it’s largely dependent on the raw materials they’re given to work with. With that in mind, here’s a look at some of the top mistakes people make in preparing their mix for mastering, with the help of veteran engineer of Universal Mastering Studios West, Pete Doell. In this video (part 2 of 2) James Ivey from Pro Tools Expert talks to James Townend from AMS Neve about some of the more advanced features of the Neve Genesys Black console. 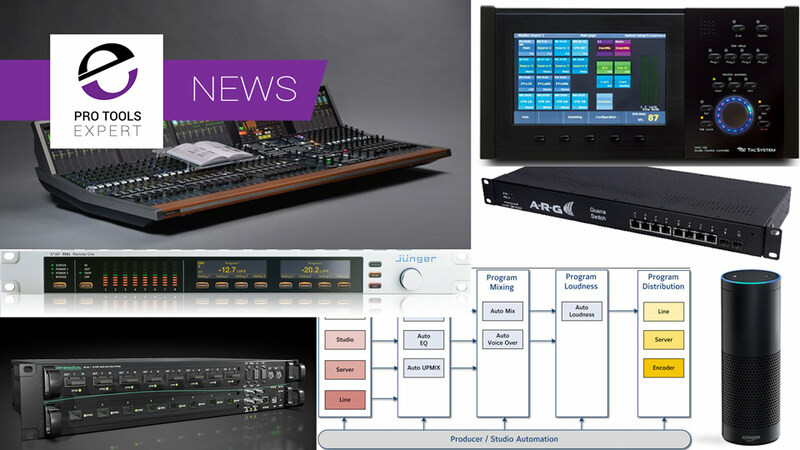 They talk about advanced routing including the 2 stereo mix busses, surround sound workflows and some of the more specific features relating to DAW control. In this exclusive roundtable, we’ll discuss the delights and vicissitudes of reverb with four of pop music’s top mixmen. And while each artist has their own singular take on the mystery and science of reverb — and their own favorites among UA’s fleet of inspired reverb plug-ins — don’t be surprised to hear them echo each other just a bit. Good ideas, after all, do tend to reverberate. There's more to come from this roundtable so check back soon for more insights from top studio engineers and producers. For this video James Ivey of Pro Tools Expert traveled to Burnley, Lancashire, UK, to visit the head office of AMS Neve to find out more about their range of high end professional mixing consoles.